Many have seen stories in recent months covering the mysterious death or disappearance of a large number of doctors practicing homeopathic or alternative medicine. Despite how one feels about the legitimacy of this story, or the claim that this group is somehow being targeted, it is important to understand the treacherous and deceitful history behind the origins of modern medicine in this country. In the early years of the American empire, when their was still a free market in the medical field, there were many thriving homeopathic hospitals and medical colleges. Over a century ago the Carnegie and Rockefeller foundations decided to engineer the medical curriculum through their grants and donations to the many different medical schools they deemed could be profitable for their associated businesses. As they have done with most facets of American society, they decided that they would reform medical education in America to suit their financial desires. There were many different types of medical schools from homeopathic and herbal, to what we know today as modern western medicine. The Rockefeller and Carnegie foundations sought to patent the petrochemical medical education as the sole practice in the United States. The natural health colleges were not pushing enough chemical drugs, and those drugs were primarily owned by the Carnegies and the Rockefellers. So out came the authorized preordained Flexner Report, funded by the two foundations, that called on American medical schools to enact higher admission and graduation standards, and in so many words, stated that it was far too easy to open a medical school. This report was used to shift from holistic to pharmaceutical practice. The American Medical Association, who were evaluating the various medical colleges, made it their job to target and shut down the larger more respected homeopathic medical colleges. 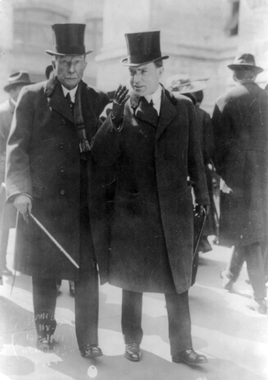 Carnegie and Rockefeller began to immediately shower hundreds of millions of dollars on the medical schools that focused on teaching drug intensive medicine. Carnegie and Rockefeller made sure they had their own staff appointed to high positions on the board of directors of these schools. They made sure these schools were teaching the curriculum they dictated or they would not “donate” the millions that the schools so obviously wanted. Over time they began to fill these boards with members who were literally on the payroll. Once they had entire control of the board, the curriculum of these schools began to swing completely in the sole direction of pharmaceutical drugs which were exclusively sold by Carnegie and Rockefeller, and it has remained that way ever since. Predictably, the schools that had the funding of these foundations turned out the “recognized” doctors that were taught to push pharmaceutical drugs instead of holistic treatments, even if the holistic treatment could work better, or would cost less. By 1925, 10,000 herbalists were out of business, and by 1940 over 1500 chiropractors were prosecuted for practicing quackery. The 22 homeopathic medical schools that flourished in the 1900s dwindled down to just two by 1923, and by 1950 all the schools teaching homeopathy were closed. In the end if a doctor did not graduate from a Flexner approved medical school, he or she could not find a job. Most doctors today do not even realize they are lap dogs of the pharmaceutical industry. Looking back on the history of the medical field in this country, and seeing the many egregious acts of the American government in recent years, it should not seem outside the realm of possibility that there is foul play at work within the medical field. At this point, all the American people can do is spread any information that arises and continue to ask questions. When the mainstream media is silent, behind that silence is the news. Why does this informational article site itself as a source? Are there more generally known sources? It’s not citing itself, it’s citing the link with the with full video, it is just also on the site. If you would click the link provided you would have your answer. It also cites information on the Flexner report as well as the history that is discussed. Due diligence is always important. This is my 35th year as a board certified Family Medicine provider. Thank goodness for full critical events doing my career; I went in the Family Medicine, I began incorporating complementary and alternative medicine therapies in the early 90s, took my first acupuncture course in ’97 and then all hell broke loose!!! Somehow the medical academics left out one important aspect of what FIRST Do No Harm, honor and integrity means; they left out Compassionate CARE and human beings as Divine Spiritual Beings feeling their way through life. Somehow the American Medical associations and societies reduced beaten battered diseased wounded and scarred tormented Americans into ATM cash withdrawal “things” or machines. LITERALLY EXACTLY LIKE AUTOMOBILES!! I often wondered why patient would continue complaining about knee pain after they had a knee replacement??!! Can use it go I concluded joint Replacements, spinal fusions, nerve repairs all are absolutely worthless for the treatment of chronic pain!! The treatment of chronic pain is everything that is within complementary and alternative medicine!! Osteopathic, Chiropractic, acupuncture, dry needling, spray and stretch, travell Simon’s trigger point needling, Prolotherapy, bio puncture, Wellness, nutrition, mindfulness, hypnosis, exercise, stretching, all of that is 1 complete category of Mind Body Spirit Situational Psychological Whole Person Holistic Therapy. The American Medical Association and societies left out the entire muscle system which includes 700 muscles all over the body Plus the complex brain which includes a computer, knowledge imagination Free Will and susceptible to mental illnesses. The American Medical Association and societies only promote the use of medications and operations for everything!!!! CAMs are the only ways and means to unlock release Unleashed natural healing and repairing within the muscle system. The muscle system is the only place healing occurs!! The muscle tissues are the only tissues within the entire body which requires Direct Force Actions Effort Intensity to pull out the Kinks, break up the scarring, and needle unlocking contractile forces to be able to unleash choked out natural healing and wound repairing. Without hours of Hands-On releasing + intramuscular needling unlocking the entire muscle tissues will falter and fail to support a quality of life. No Force, no action, no pulling, no needling and no natural healing so Americans are suffering to death or until they commit suicide from muscle tissue and organ systems failure. 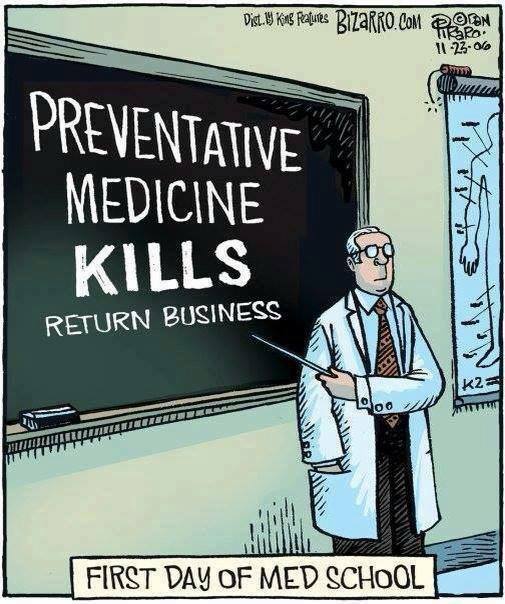 Medications and operations do not heal, repair, rebuild, rejuvenate, rehabilitate, or restore! By the way, no one in their right mind would except or sign a consent form to have a body part removed thrown in the trash and replaced with an automobile part. Joint replacement is removing viable tissue and replacing this natural life-long material with an automobile part. Removing natural replacing Auto healing with cold dead Auto Parts! That story is the AMA with blood on their hands. There is no way in hell that you can justify removing living viable tissue under bait and switch, deceptive, flawed pretenses.